Bluetooth and Wi-Fi are the most obvious candidates when it comes to battery depletion. If you aren’t turning them off altogether when not needed, make sure your iPhone or iPad isn’t unnecessarily connecting to Wi-Fi networks and Bluetooth accessories by deleting them from the lists of previously paired devices. Turning off cellular data would mean that you won’t receive email notifications, Whatsapp messages or any other app alerts, but it will also vastly improve your battery life expectancy. 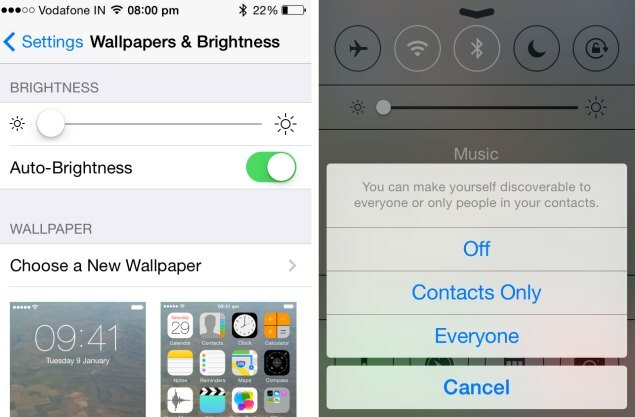 To do this, go toSettings > Cellular and move the Cellular Data slider to the left, switching it off. For a less drastic approach, you can decide which individual apps are allowed to send and receive data when your phone is idle. Go to Settings > General > Background App Refresh to selectively choose which apps are allowed to refresh themselves using your Internet connections. Apple’s mobile OS also uses background data transfers for things like syncing iTunes purchases, iCloud backups, and Photo Stream. Turn these off if you don’t need them – of course iCloud is pretty handy, so don’t kill this unless you really need to. App notifications also require Internet access, so turning some of these off will help you manage power consumption. Go to Settings > Notification Center and disable spam magnets such as games and commercial apps. AirDrop doesn’t require Internet access, but it could be using your Bluetooth and Wi-Fi radios to check for compatible devices near you. 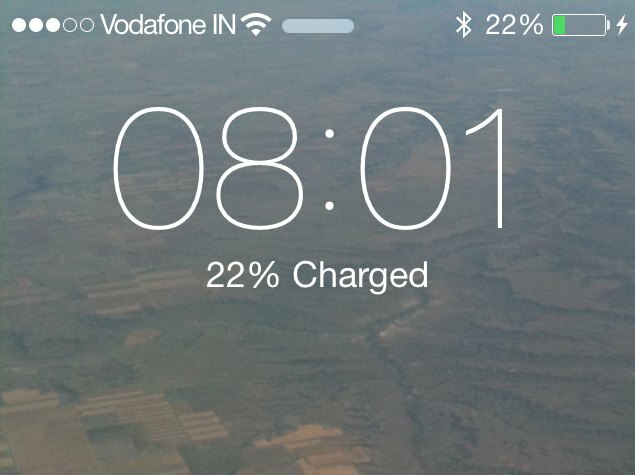 Turn it off via the Control Center, which is accessed by flicking upwards from the bottom of the screen. While you’re in the settings, go to Privacy > Location Services and check which apps have recently used GPS. Turn off location services for apps that don’t need it, such as promotional ones that try to detect when you’re near a brand outlet. Another very simple thing to do is to manually exit apps that are running in the background just to be sure they aren’t silently wasting energy when they aren’t supposed to. iOS 7 famously introduced a number of visual effects, including animations for most screen transitions and wallpaper that shifts around as you tilt your device. 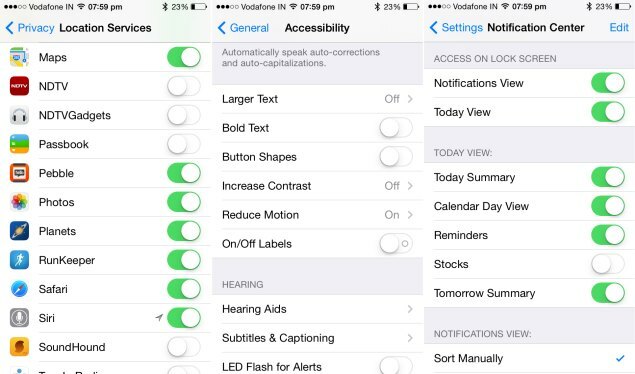 These can be turned off from Settings > General > Accessibility > Reduce Motion. Of course, one of the easiest ways to manage power is to turn the screen brightness down. Control Center makes it quick and easy to adjust brightness on demand, so you can turn it up only when needed, and make sure that the automatic settings isn’t too wasteful. If none of these tricks work, or if you’re sure that battery usage is way above normal, you can always try resetting your phone. In some cases, users who upgraded to iOS 7 and/or 7.1 on their devices themselves reported improvements after resetting and restoring via iTunes on a computer. The least disruptive step is to reset all settings, via Settings > General > Reset. This will leave all your apps and data intact. Choosing Erase All Content and Settings instead will reset your phone to factory condition. For a full reset, plug your device into a PC or Mac and use iTunes to reset it. Doing this will install a fresh copy of iOS 7.1 on your device. More importantly than any of this, charge your device only when necessary and don’t leave it plugged in long after it reaches 100 percent. Cycle the battery completely every now and then, and allow the device to cycle a few times after the iOS 7.1 update so that the battery indicator is properly calibrated.